Join Lucy Marie Watkins, her friends in Room 2-C, Miss Flippo (the best second grade teacher ever), and Mr. Bones as they explore and discover the wonderful, wacky scientific world around them. 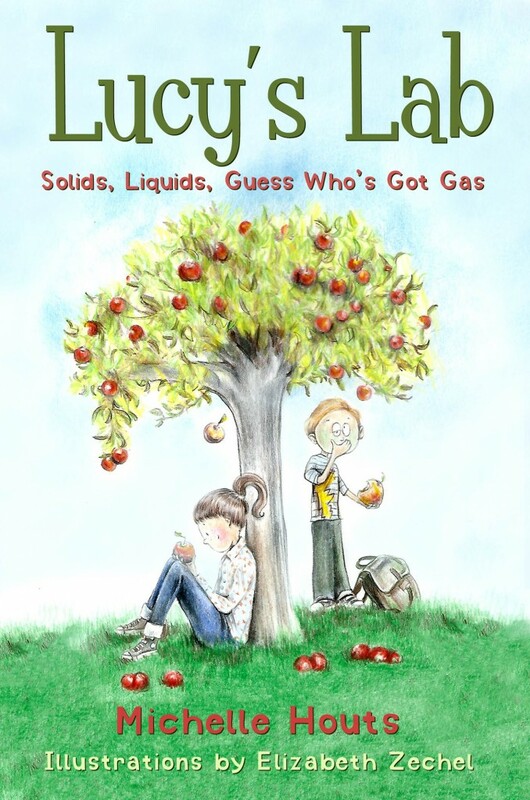 There are plenty of laughs as Lucy and her friends find new ways to learn about habitats, discover first-hand the states of matter, or dig into fossil-finding. Look for Lucy’s own Pinterest page filled with all of Room 2-C’s experiments and more. On Lucy’s first day of second grade, she’s excited to meet her new teacher, Miss Flippo, and find out everything’s she’s going to learn about this year in school. And when Miss Flippo tells the class that they’re going to have their very own science lab, complete with lab coats and goggles, Lucy can’t wait to start exploring. Autumn has arrived, and at Granite City Elementary School everyone is gearing up for the biggest and best event of the year, the Harvest Festival. The whole school is excited about the games, the contests, the food, and most of all—the costumes! Everyone except Lucy. She doesn’t like dressing up, and has no desire to be a fairy princess or rock star, even for one day. 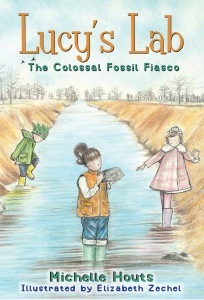 At school, Lucy’s class is learning about fossils and the plants and animals that left them behind. One afternoon, Lucy finds a special rock, and Miss Flippo gets very excited! But when Lucy’s precious fossil goes missing, everyone in Room 2C is a suspect. . . .
I’m excited to have a look at your work. Congratulations! Thanks, Don. And thanks for the heads up on another writing member of the clan. I’ll pick up Jeff Garvin’s YA first chance I get! I met you at Books by the Banks this year and bought your books for my third grade class. We have read the first book of the series already and are moving onto the second! We love it so far! My second grader son was given Lucy’s Lab #1 upon discharge from the post-op recovery room as part of a literacy program at Maria Fareri Children’s Hospital. He loved it, and we quickly bought the next two and devoured those quickly! He is begging for more and was disappointed that we had already completed the series! My son has a curious mind and loves science. I loved how secretly educational the books were while keeping all characters and topics relevant and relatable for a second grader. I also loved how you gently shattered classical stereotypes without being didactic or forced, further creating a detailed backdrop full of strong independent and loving characters. Please write more!!! I have read many children’s books and these are by far my favorite, both in content and character…but the best judge is my seven year old, who just can’t wait for the next book! Oh, wow! Thanks so much for letting me know that your son likes LUCY’S LAB! The fact that he was given a book – any book – upon dismissal from the hospital is so wonderful! It made my day to read your email. As far as more books in the series, well, like so many decisions, the decision of a publisher to continue a series is based on, of all things, numbers. The good news is, Lucy’s publisher is considering more books! Customer reviews on Amazon and Barnes and Noble help authors a lot. Emails like yours (which I sent promptly to my editor) also help. Fingers crossed for more Lucy’s Lab! And, again, THANK YOU so much for sharing your enthusiasm for Lucy and her love of science! 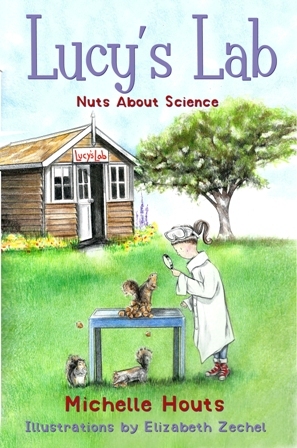 I just bought Lucy’s Lab for my son for his 5th birthday…along with 3 other novels (I read). And yours is by far his favourite. I’m going to have to trade the others in for the rest in the series. I sure hope you will continue to write as these stories are so in his wheelhouse. He’s a unique little dude who’s crazy about animals and the outdoors and you capture his imagination and feed his hunger for knowledge. Thank you. Shannon, Thank you! I needed your message today! I’ve just learned that the publisher of Lucy’s Lab, Sky Pony Press, isn’t planning to publish any more books in the series. Messages like your give me hope that Lucy is out there, just waiting to be discovered by wonderful readers like your son! I hope the series finds its readership and the publisher reconsiders, but until then, enjoy Books 1, 2, and 3! And, THANK YOU so much!